This charm raised itself and volunteered to be part of your newest project. 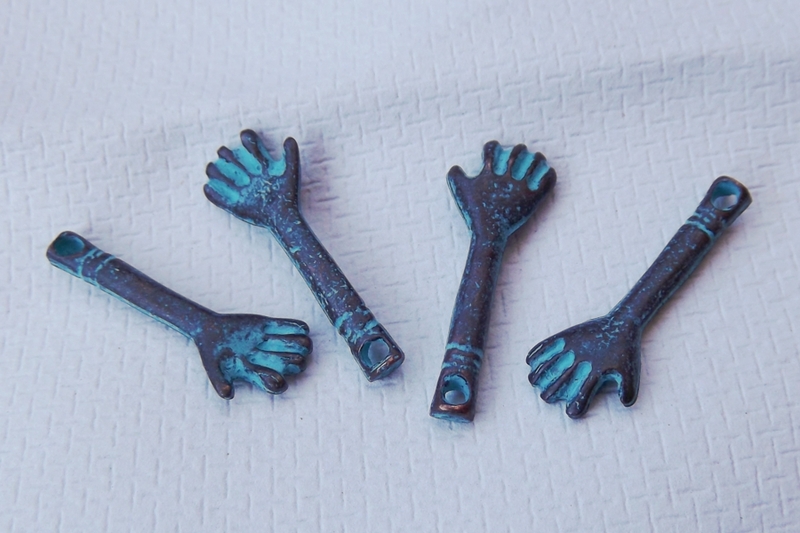 Our patinaed right hand and arm charm is ready for you, whether you plan to make it into earrings, add it to a necklace or bracelet, use with your art dolls, or anything else. Maybe even buy a few of these charms, so you'll be ready when someone asks you to lend a hand. 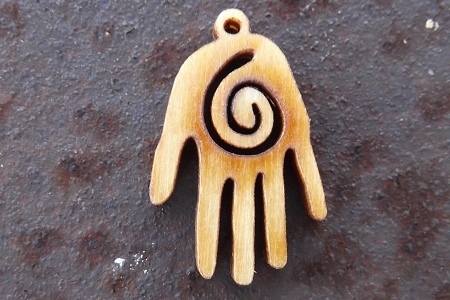 The charm measures 7/8 inch long by 3/8 inch wide (about 23 mm by 8 mm). It has a 2 mm stringing hole. We are showing 4 charms so that you may see the variations in the patina.